Climate and Agriculture in the Southeast | What goes into hurricane modeling? 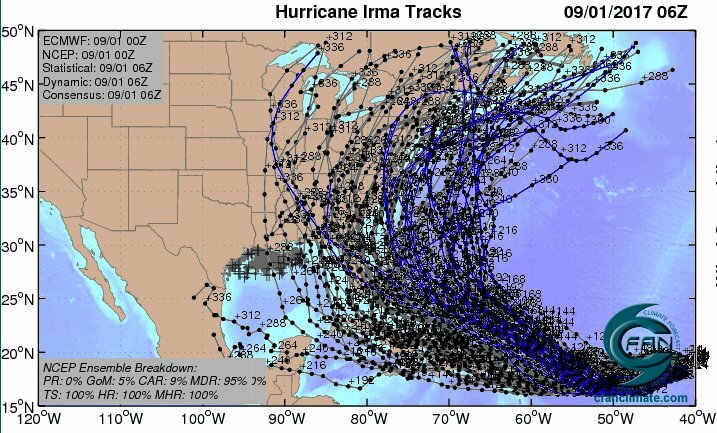 What goes into hurricane modeling? Meteorologists and climatologists as well as folks living along the coast and agricultural producers across the Southeast have been watching the current Atlantic tropical storm season with interest, concern and even horror as the storms moved towards and then across the region, causing tremendous devastation. We are still learning about all of the impacts that Harvey, Irma and Maria have caused (and are still causing, in the case of Maria). What many people may not have realized is how accurate the forecasts for the storms this year were, allowing preparations as much as a week ahead of time. Even though impacts were not always clearly and completely communicated, the general paths of the storms were well known and stated well in advance of the storms. 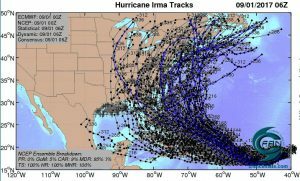 Here are some articles describing how hurricanes are forecast and how forecasting has changed over time. Cliff Mass blog: The Hurricane Irma Forecast: Triumph or Disappointment? Mike Smith in Slate.com: The Meteorologist’s Lament Weather forecasting is better than ever–but the public doesn’t seem to realize that. Illinois News Bureau: Is the future of hurricane forecasting in danger? Posted in Climate and Ag in the news, Tropical weather, Uncategorized. Bookmark the permalink.